Welcome to the Schiavo Library web page! 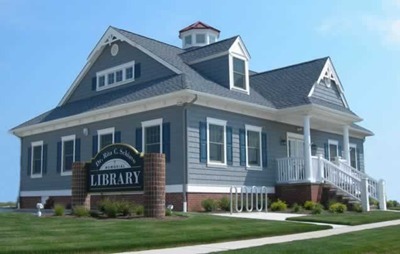 The library is a bequest to this south Jersey seashore community from Dr. Rita C. Schiavo, a respected educator, businessperson, lawyer, and community activist in Philadelphia, PA and a summer resident of Strathmere, NJ for over eighty years. The Schiavo Library is a library re-imagined - not only a repository for books and other materials for loan, but also an inviting extension of the living rooms and gathering places on the island. Come and enjoy the collection, relax in a comfortable reading nook, check your email using free, wireless Internet, browse the current art exhibit, and get actively involved in creating special events, educational opportunities, and forming groups of like-minded individuals for edification and enjoyment. Visit soon . . . visit often!